Would you like to receive an email as soon as the tickets are available? Send me a message at eric@newyork.co.uk and I’ll email you when the tickets are available. 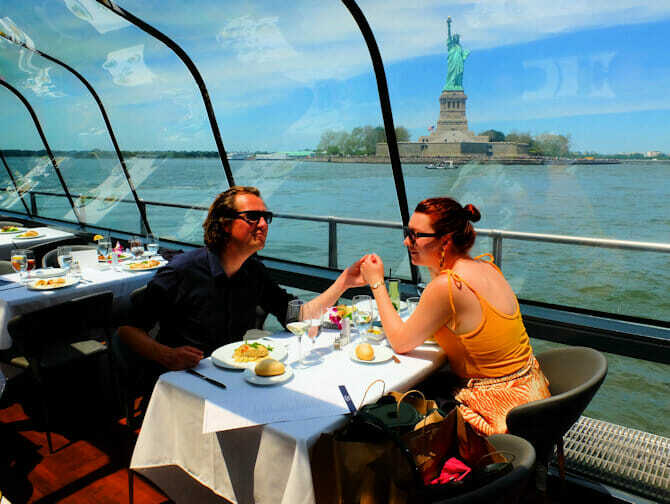 This cruise is the perfect choice if you’re looking for a romantic night out in New York on Valentine’s Day. 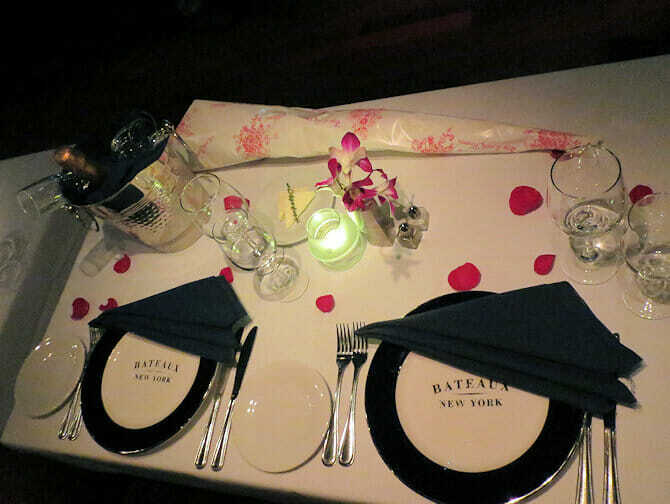 Once seated on the yacht, you’ll receive a complimentary glass of bubbles; starting your date as you mean to go on! During the evening, the boat will cruise over the Hudson and East River, providing you with amazing views of the Manhattan skyline. Romance guaranteed! After purchasing, you will receive a voucher that you can print out and use as your ticket for the boat tour. Or, show it on your smartphone, as a mobile ticket. Dress code: Shirts for men (preferably with a jacket). For women, a dress or elegant clothing. Dark, smart jeans are permitted. No casual jeans, t-shirts, shorts, trainers or flip-flops. Age restrictions: Children under 6 years are not permitted, no discounts are applied for children.